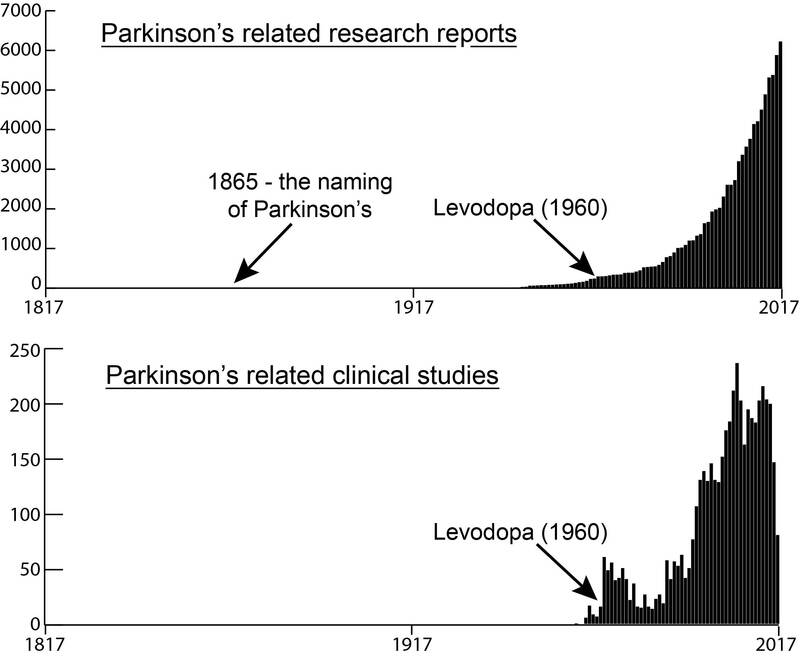 Many novel therapies are currently being clinically tested in Parkinson’s, and this week we heard the results of one clinical trial which provided some very interesting news. Intra-Cellular Therapies has been testing their drug, ITI-214 – which is a potent and selective phosphodiesterase 1 (PDE1) inhibitor. Inhibitors of PDE1 prevent the breakdown of protein called cyclic nucleotides (cAMP, cGMP). The results of the Intra-Cellular Therapies clinical trial suggest that in people with Parkinson’s, the drug not only improves symptoms, but also reduces dyskinesias. In today’s post we will discuss what PDE1 is, how PDE1 inhibitors work, and what the results of the clinical trial suggest. Every year in October, the American Neurology Association (ANA) gather in one of the major US cities to share research regarding neurological condtions, like Parkinson’s. And while I did not attend the ANA meeting this year, I was keen to hear the results of one particular clinical study. It was a trial conducted by a company called Intra-Cellular Therapies. And they were presenting the results of a Phase I/II trial of their experimental drug ITI-214. What is special about ITI-214? ITI-214 is a Phosphodiesterase inhibitor. What is a phosphodiesterase inhibitor? A reader recently asked me about an experimental drug called Ibudilast. It is a ‘Phosphodiesterase 4 inhibitor’. In today’s post we will look at what Phosphodiesterase inhibitors are, how they work, and discuss why Ibudilast may not be such a good experimental treatment for Parkinson’s. On April 21-27th, 2018, the American Academy of Neurology (AAN) will hold their 70th Annual Meeting in Los Angeles (California). I will not be at the meeting, but I will definitely be keeping an eye out for any news regarding the results of one particular clinical trial. At the meeting, a biopharmaceutical company called MediciNova Inc. will be presenting data regarding one of their clinical trials. The presentation, entitled “Ibudilast – Phosphodiesterase Type 4 Inhibitor – Bi-Modal Therapy with Riluzole in Early Cohort and Advanced Amyotrophic Lateral Sclerosis (ALS) Patients – Final Report and Future Directions“ (Source) will be presented by principal investigator of the clinical study, Dr. Benjamin Rix Brooks, of the Carolinas HealthCare System’s Neuromuscular/ALS-MDA Center at Carolinas HealthCare System Neurosciences Institute. Dr Brooks will be presenting the results of a single-center, randomized, double-blind, placebo-controlled clnical trial which was conducted to evaluate the safety, tolerability and clinical endpoint responsiveness of a drug called Ibudilast (or MN-166) in subjects with the neurodegenerative condition, Amyotrophic Lateral Sclerosis (or ALS – also known as motor neuron disease; Click here to read a previous SoPD post about ALS and Click here to learn more about this clinical trial). Ibudilast is a phosphodiesterase inhibitor.